Alcohol use affects the health of your liver, as everyone knows. Both quantity and frequency of alcohol use can have a serious impact on your health, especially the liver - a vital organ. If you are a recovering alcoholic, perhaps you have wondered how your drinking days have affected your liver. Whether you were a weekend warrior binge drinker or a daily drinker, your liver had to process your excessive alcohol intake. Obviously, binge drinking is harmful to your liver- in addition to other areas of your body. Researchers have also investigated the impact of daily drinking on liver health. A recent study found that long-term daily drinking, rather than weekly binge drinking, is by far the biggest risk factor in serious liver disease. Generally, patients with alcoholic cirrhosis have been drinking heavily for 10 to 20 years. Alcoholic liver disease is one of the most serious medical consequences of chronic alcohol use. Chronic alcohol abuse can cause fatty liver, cirrhosis and alcoholic hepatitis. Alcohol is a leading cause of liver cancer in the western world. Among heavy drinkers, up to 100% show evidence of fatty liver, an estimated 10-35% develop alcoholic hepatitis, and 10-20% develop cirrhosis. For those who have been fortunate enough to escape liver disease, chances are you still did some damage during your active alcoholism/addiction. First, consider the fact that normal liver function is essential to life. It filters blood, removes and destroys toxic substances; helps digest and absorb fats; and it is involved in many of the metabolic systems of the body. 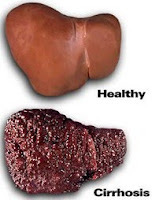 The liver stores vitamins; synthesizes cholesterol; metabolizes or stores sugars; processes fats; and assembles amino acids into various proteins, some for use within the liver and some for export. The liver controls blood fluidity and regulates blood-clotting mechanisms. It also converts the products of protein metabolism into urea for excretion by the kidneys. There are many mechanisms by which alcohol injures the liver. The most advanced form of alcoholic liver injury is alcoholic cirrhosis. Before the 1970's, the cause of alcoholic cirrhosis was believed to be nutritional deficiencies from heavy drinking. Overwhelming evidence subsequently proved that alcohol itself is toxic to the liver. It is now believed that nutritional effects and direct alcohol toxicity interact in such complex ways that the influence of the two cannot be separated. Other Factors include: genetics, free radicals & acetaldehyde, liver metabolism, gender (women may be more susceptible), and environmental factors (i.e. medications, exposure to pollution). In addition to alcohol use, you may have also used other recreational drugs; perhaps you are currently taking over-the-counter or prescription medication, or have been on medications in the past; currently or previously engaged in unhealthy eating habits, or have been obese. All of these factors further tax the liver and contribute to your need for a liver cleanse and nutritional supplementation. Once liver function is compromised, your body's ability to use vitamins is significantly reduced. The liver is no longer able to process, store or utilize many of the water-soluble vitamins such as thiamin, B6 and folate, and your body is no longer able to use fat-soluble vitamins A, D and E.
Remember also that your liver is also crucial in the transportation of minerals throughout your body. If it is damaged, the minerals can't get out of the liver. This can result in mineral deficiency throughout your body, as well as a potentially toxic buildup of minerals in the liver. Recovering alcoholics & addicts, you have already detoxed off of alcohol & drugs. Whether it was days or years ago, you should absolutely give your liver its own detoxification cleanse! Use this simple 7-day system to cleanse your liver. This particular system not only cleanses and detoxifies the liver but also cleanses the digestive system and colon at the same time. It is recommended to cleanse first, then follow up with a liver support protocol that will be better absorbed and utilized due to cleansing first. 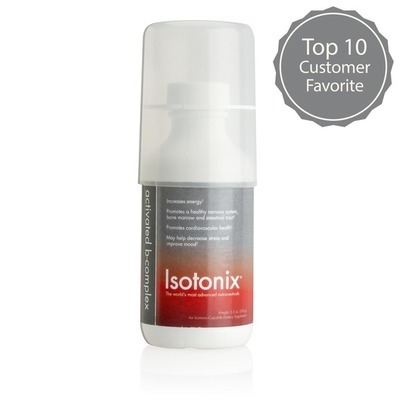 For a superior daily multivitamin/mineral formula that is easily absorbed, click here. *Note: choose the without iron version unless you know you are anemic. For ongoing support of normal liver detoxification activity and overall liver health, two great supplements are Curcumin and Hepatocleanse. Curcumin has multiple health benefits in addition to liver support, including promoting neurological health, cognitive health, and a strong immune system to name a few. Hepatocleanse contains milk thistle and other safe natural herbs that help to detoxify the liver and blood, supports a healthy liver and gallbladder, and helps excrete the toxins that accumulate over time. Use the links provided to read more about the research and benefits of the best supplements that support liver health and may be especially beneficial for active and recovering alcoholics. You can also lower your chance for liver disease with healthy eating habits. For liver health and overall health, eat foods that are high in fiber and low glycemic. To get a complete education for life on how to incorporate the healthiest eating plan, check out this great health guide and journal. With these simple yet advanced strategies, you can take charge of your liver health and nutrition to continue to truly recover in BODY, as well as mind and spirit.